You wouldn’t expect esteemed film industry magazine Variety to be the place where signs of The End Times are revealed in all their dreadful horror, but today’s edition might as well have been, offering up the frankly really rather depressing news that Lucasfilm Animation are developing an animated Star Wars comedy series. No, April Fool’s Day was last week. For those of you whose eyes are bleeding, allow me to repeat that: Lucasfilm Animation are developing an animated Star Wars comedy series. Oh, George: why?WHY??? In the year that we commemorate the thirtieth anniversary of the franchise’s undoubted zenith – The Empire Strikes Back – it’s pretty depressing to have it underlined (again) that the one area where the Star Wars franchise is resolutely full steam ahead… is in the effort to water it down. Surprising, though? Not really. 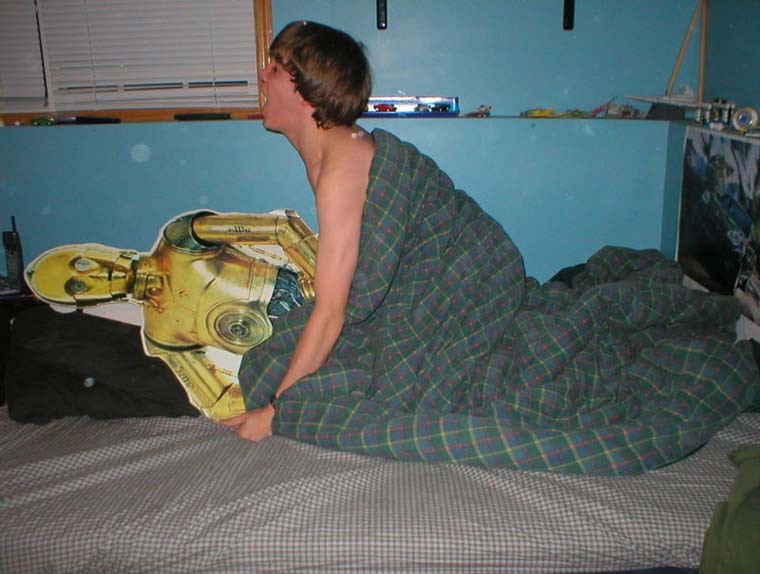 Lucas toyed with the idea of lightening Star Wars very early on, with the much-maligned Star Wars Holiday Special in 1978 – which, notably, he made a great deal of effort to airbrush out of official SW history – but it appears that age (and needy merchandising partners, no doubt) have withered that concern. Really, Lucasfilm strongly signalled their desire to reallymake Star Wars for kids a couple of years back, with the release of the feature-length CLONE WARS CG animated movie – the press screening for which was the precise moment when I realised once and for all that The Party Was Well And Truly Over. 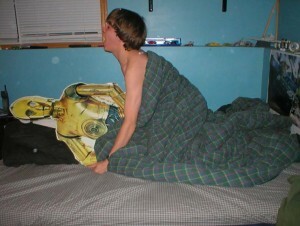 Jesus, that was a horrible experience: the tween Jedi. Jabba The Hut’s gay cousin. The pervading sense of apathy. Emerging from the cinema after a never-felt-longer 100 minutes, my dejected compatriots and I confronted the depressing fact that, no matter how severely reduced our expectations were – and how they were – what we had just seen was not even designed to be a valid and worthwhile addendum to the core Star Wars canon. It was something far worse: it was just product, there to keep a brand in profitable motion. Obviously, it’s not worth getting that het up about – it’s not like Star Wars is suddenly going downhill, it’s been doing that for ten years-plus – but there is an inherent sadness that the franchise’s ongoing march in to bland mediocrity does wear away at the grandeur of the original trilogy. Which, really, is all the more reason to slip the DVD of Empire on and receive a potent reminder of when, long, long ago, George Lucas actually appeared to give a damn about his galaxy far, far away. Just leave it alone, George! Yup, Star Wars has become the punchline to jokes told by smarter people. Why, George, why? Do you really need to ask? As long as people keep hanging on … so, maybe it’s time to let go at last, and put away childish things?